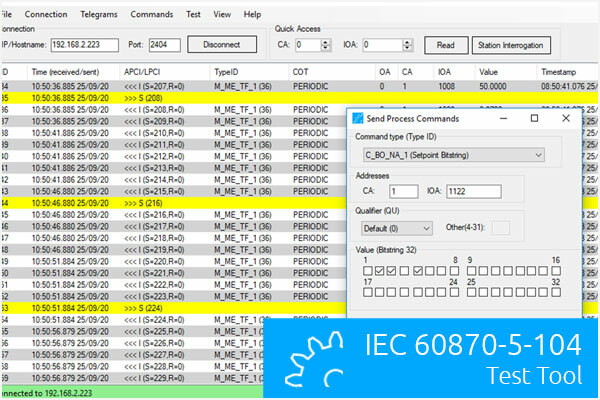 The Freeware Edition provides a lot of useful information to get an overview of the protocol and the communication between the client and an IED. Detailed telegram view to see order of events and get advanced insights into data flow and potential communication problems. The Professional Edition comes with all features of the Freeware Edition. In addition the following features are supported. Sending parameter and parameter activation commands. For Linux versions please contact us. Just enter a valid email address here and your done. You will instantly receive a download link for the Freeware Edition by email. The experts for industrial communication protocols and embedded systems. We provide expertise in communication protocols for automation systems and embedded devices. Our company has many years of experience in protocol design, implementation, and integration in the energy and industrial automation domain.